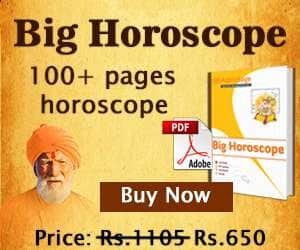 We need to analyse the position of planets, constellation and tenth house in the horoscope to foresee success or downfall in Career or Profession. Tenth house is considered as a tool for Karma of the native in his birth chart. This house tells about our do’s or karma in present life. In Vedic Astrology, compatibility of work and business has been defined. If you choose your profession according to your own zodiac sign, then you will get more success in it. This is possible because astrology is the study of a person’s interest, intellectual talent and his actual ability on the basis of his horoscope. Therefore, the selection of business or career according to zodiac sign is known to be meaningful. Mars is the lord of Aries. It is the karaka of courage and energy. Therefore, engineering, military and police areas are right for the people of Aries sign. Apart from this, you may get success in business like advocacy, doctor, driving, jeweler and computer area. The lord of Taurus is Venus. Venus is the karaka of marriage, life partner, splendor etc. in Astrology. Therefore, areas like art, luxury items, painting, singer, dance, music, movies, acting, fashion etc. are favorable for Taurus sign people. Business relating to agriculture, metals, hotels, etc. is auspicious for these natives. Mercury in astrology is the owner of Gemini Zodiac. This planet is the karaka for communication, mathematics, commerce and intelligence. According to Gemini, native should choose a career in banking, clerical, writing, media reporter, editing and language specialist translator. In these above areas, you will reach the height of success. Moon is the lord of Cancer sign. It is a karaka planet for mind, mother and happiness. People with cancer sign are able to succeed in water and glass related work. Therefore, you should choose professions in Cold Drinks business, Laundry, Sailor, Dairy Farm, Hotel, Business, Ice, Ship, Chemistry, Perfume, Incense sticks, Photography, Painting, Archeology, History, Social Worker etc. The lord of Leo is Sun. In Hindu astrology, the planet Sun is the karaka of position, prestige, soul, father, leader etc. Leo sign people should work in area of politics, authoritative, official class, administrative, government post. In addition, you will be successful in the business relating to medicine, stock exchange, cotton, paper, stationery, grass and fruits. In astrology, the planet Mercury is the owner of Virgo sign. This is the karaka for communication, intelligence, speech, mathematics, astrology etc. 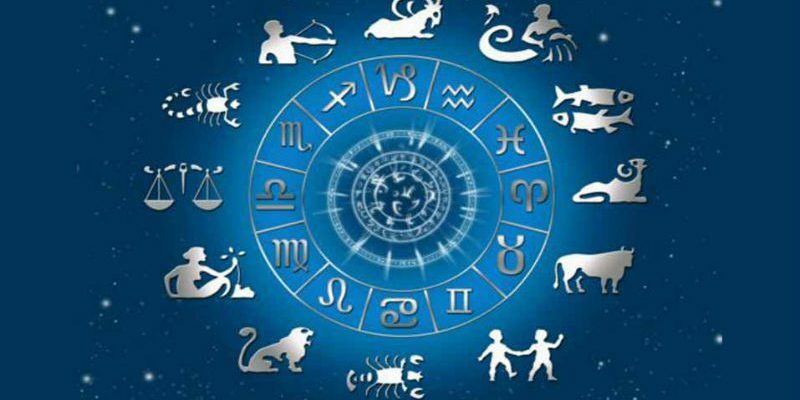 Therefore, the people of Virgo sign should make a career in the field of astrology, air, study, teaching, teacher, retail, vendor, clerk, rupee transaction, receptionist, bus driver, radio-television artist, notary, computer etc. The lord of this sign is Venus. Venus is the karaka of Beauty, Jewelry, Prosperity, Intimacy, Marriage, Happiness etc. The people of Libra zodiac sign should be called psychotherapist, investigator, detective, bookkeeper, cashier, bank clerk, typist, auditor, animal products such as milk, ghee, wool etc. The lord of this sign is Mars. In astrology, Mars is considered to be the karaka of energy, courage, housing, land etc. Hence native should try his career in chemists, doctors, lawyers, engineers, building construction, marketing, country service, telephone, electronics, mineral oil, salt, medicine, clock, radio, philosophy, detective etc. The lord of this sign is Jupiter. It is a karaka planet for guru, knowledge, happiness, deity, friend, son etc. For Sagittarians, teaching, writing, editing, education department, law, advocacy, clerk, preacher, freedom fighter, philosopher, religion reformer, publication, broker, import-export, food, leather business, Banker etc. are favorable areas. The lord of Capricorn is Saturn. In astrology, Saturn is the karaka of weapon, travel, buffalo, camel, horse, elephant, craft, blue sapphire etc. Capricorn people should make their careers in management, insurance department, electricity, commission, machinery, contract, speculative, import-export, readymade garments, political, toy, mining, forest products, horticulture etc. The lord of Aquarius is Saturn. Saturn is considered to be the karaka of arms, travel, service, crafts and sapphires etc. Therefore, the people of Aquarius should prioritize the businesses related to it. Along with this, you will find success in research work, teaching work, lighting-technical, natural, therapeutic, philosophical, computer, aircraft, mechanic, insurance, contracting etc. The owner of this sign is Jupiter. Jupiter is considered to be the karaka of the guru, knowledge, happiness, deity, friend, son etc. Therefore, the people of this sign should make their career in writing, editing, teaching, clerk, water, grain, brokerage, stock, fish, commission, agent, import export, choreography etc. Get the latest information on astrology and new articles. We publish factual articles here on Vedic astrology, religion-spirituality, Vastu, Feng Shui, Reiki, Lal Kitab, palmistry, Krishnamurti method and many other topics. You can make your life better by these informative and suggestive articles. Fill in your e-mail address below to subscribe to AstroSage Magazine.